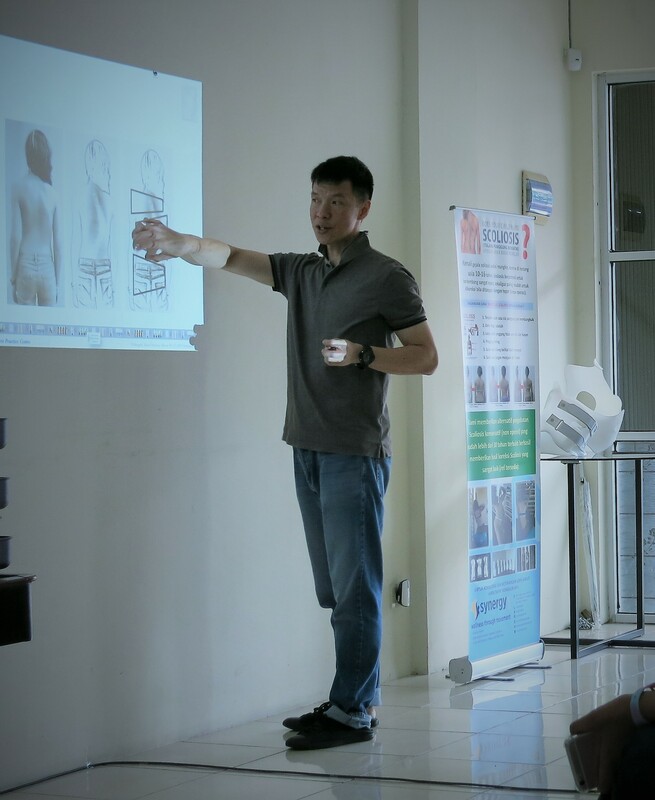 “I am very interested in how to overcome Scoliosis since my own mother is having a big curve in her spine and some pains because of it. Doctors’ solution at that time were treatment through physiotherapy or spinal surgery. We did not choose surgery considering she was over 65 years old, but the physiotherapy treatments did not solve the pain. Finally she took Pilates Sessions and getting better and better afterwards. The pain was gone and her posture is becoming more aligned. I decided to learn Polestar Pilates which is well known for its rehablititation approach and other proven methods like Schroth Methods to help others improving their spines, postures and movement to be betters. In the end, we want our client to be able to live and move freely.